Emmy Award-winning filmmakers Jim and Jamie Dutcher lived near Idaho’s Sawtooth wolf pack for six years, gaining the wolves’ trust and observing their daily social interactions. Both a book and a Discovery Channel documentary, Living with Wolves is an intimate portrayal of this animal. It attempts to overturn the negative stereotype of wolves as dangerous to humans and encourages people to instead fight for their protection. Mountaineers Books partnered with the Wilderness Society for this project, which included a traveling photographic exhibit following the book's publication. Jim Dutcher is an Emmy Award–winning cinematographer and filmmaker. His work includes the National Geographic special, A Rocky Mountain Beaver Pond, and ABC World of Discovery’s two highest-rated films, Cougar: Ghost of the Rockies and Wolf: Return of a Legend. Jamie Dutcher won an Emmy Award for sound mixing with her carefully collected sounds of the Sawtooth wolves. She is a former employee of the National Zoo in Washington, DC. Together, the Dutchers created the Discovery Channel’s most successful wildlife documentary, Wolves at Our Door. Living with Wolves was produced by the Discovery Channel and continues the story of the Sawtooth wolf pack that became a part of their lives. 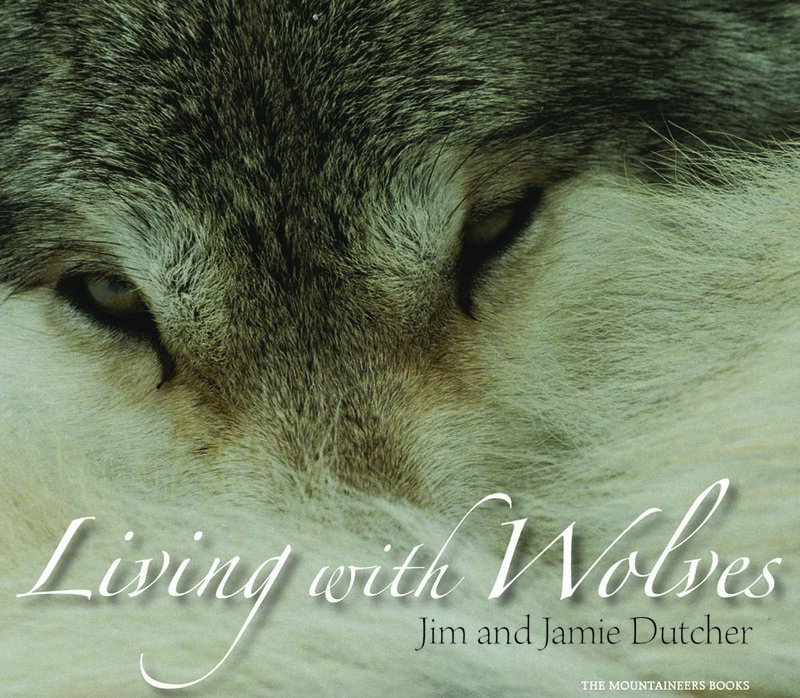 Learn more about the Dutcher's nonprofit organization, Living with Wolves.